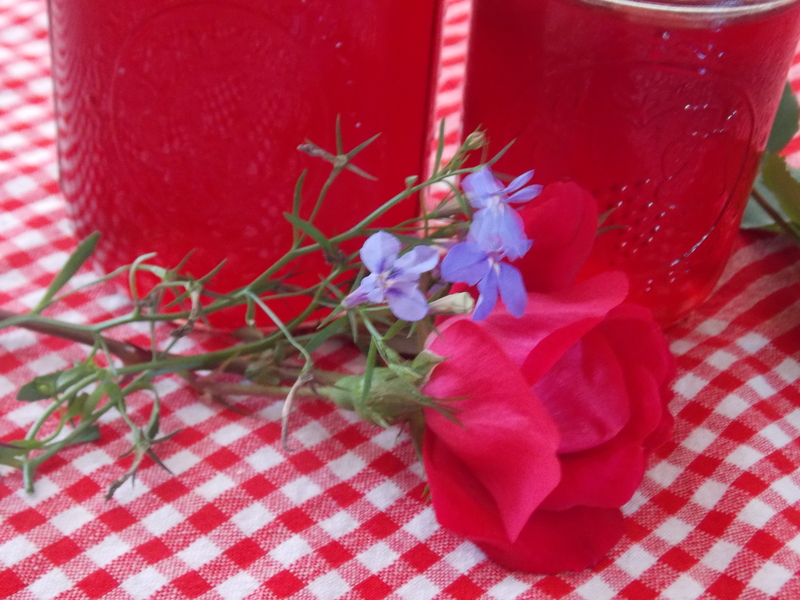 As summer is quickly approaching, I am excited to be doing some canning again. 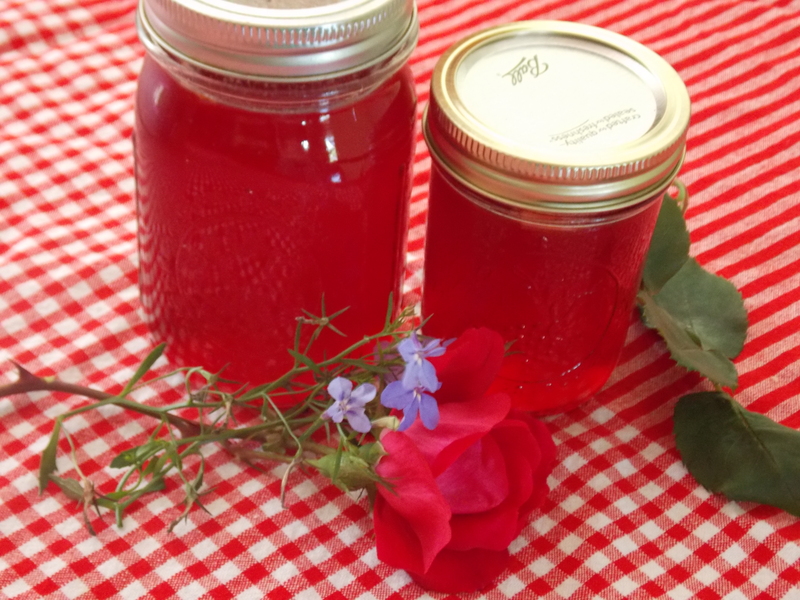 I LOVE to make jellies and jams and am eager to possibly try some new recipes this season. I love the beautiful color of this! For the past couple of years, my mother-in-law has gotten me seconds from an Amish family that raises organic produce. Some of their older kids help milk on my in-laws’ dairy, so they give her a sweet deal on flats of seconds. Yes, these were “seconds.” They still look pretty darn good to me! I used some up to make strawberry milkshakes for my family and the rest for the jelly. Basically I followed the recipe that comes inside the box of Sure Jell pectin powder. Nothing fancy, just the basics. May I make a confession to you? 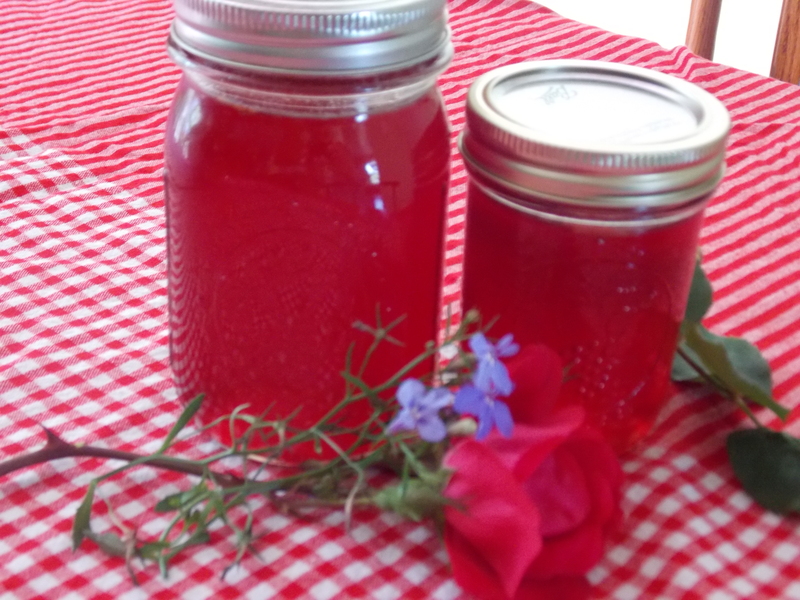 I used to be intimidated by making jelly. Yep, I was. (I’m still a bit scared to use a pressure canner, but that’s a whole different story.) As a newlywed, I started out by just making freezer jams. 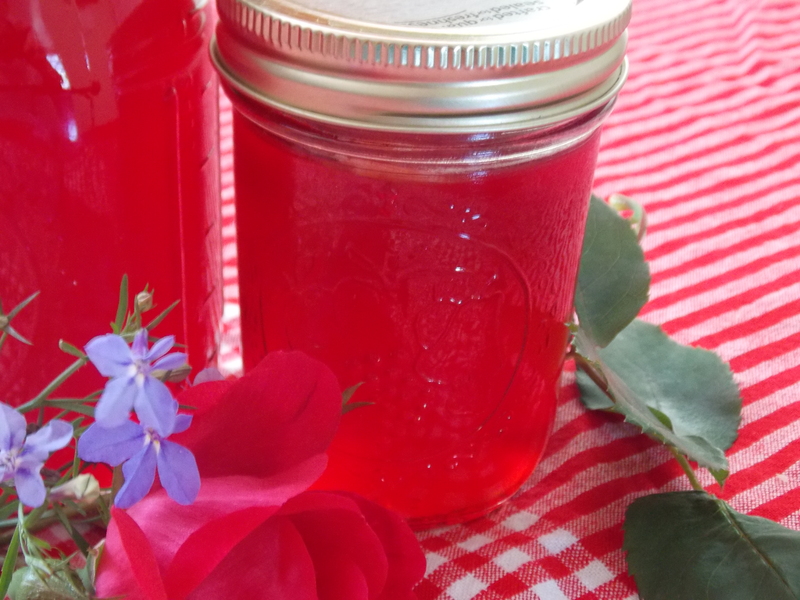 Once I realized how doggone simple they were, I moved on to canned jams, then eventually I tried out jellies as well. Now I do some of each. If you put in a little effort, the results can be beautiful. Though I use some jelly jars for our jelly (usually ones I plan to use as gifts), I do a lot of pints now for just our family. We can go through a small jar pretty quickly, so I don’t mess around! Seeing these jars makes me a very happy Mama! Today I am belatedly sharing what my boys made me for a Mother’s Day treat. Though this was for Mother’s Day, I can imagine this would be a great thing to bring to a summer picnic or other event. 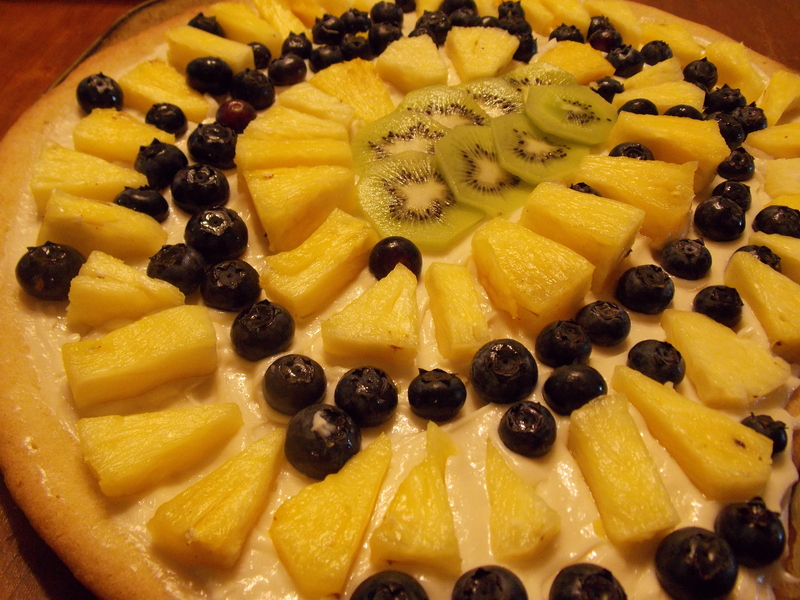 The crust is like a soft sugar cookie, the “sauce” is a cream cheese icing, and the toppings are a variety of fruit. 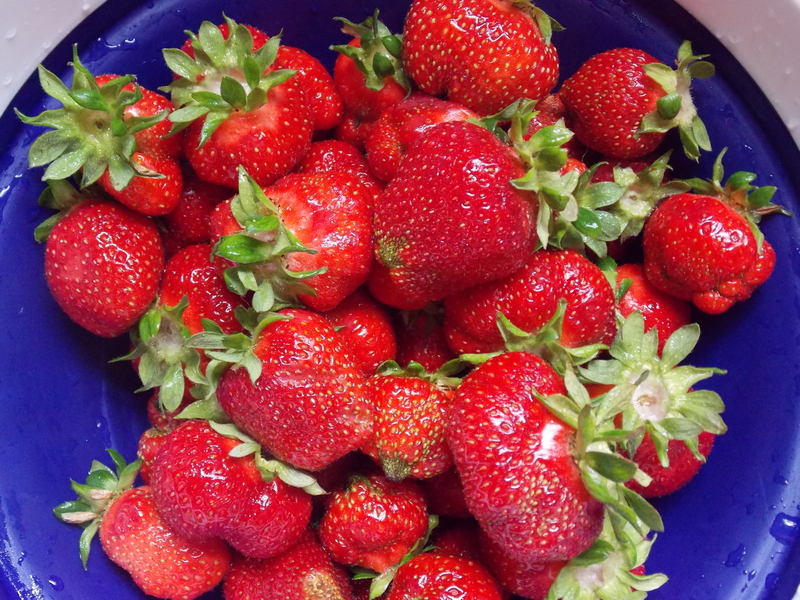 This would be really beautiful topped with colorful summer berries, and you can arrange them however you like. Press the dough into an ungreased pizza pan and bake at 350 F for 8-10 minutes. Allow to cool for a bit before icing. Mix together 8 oz of softened cream cheese, 1/2 C sugar, and 2 tsp vanilla. Spread over cooled crust. 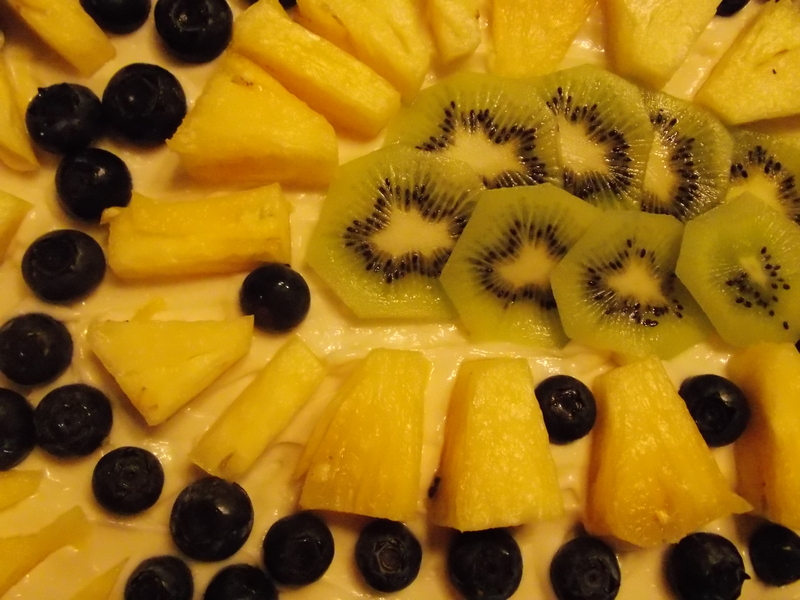 After this cut up fruit and arrange on top. Chill a bit before serving! Happy Birthday to me, turning a whopping 35 years old!! 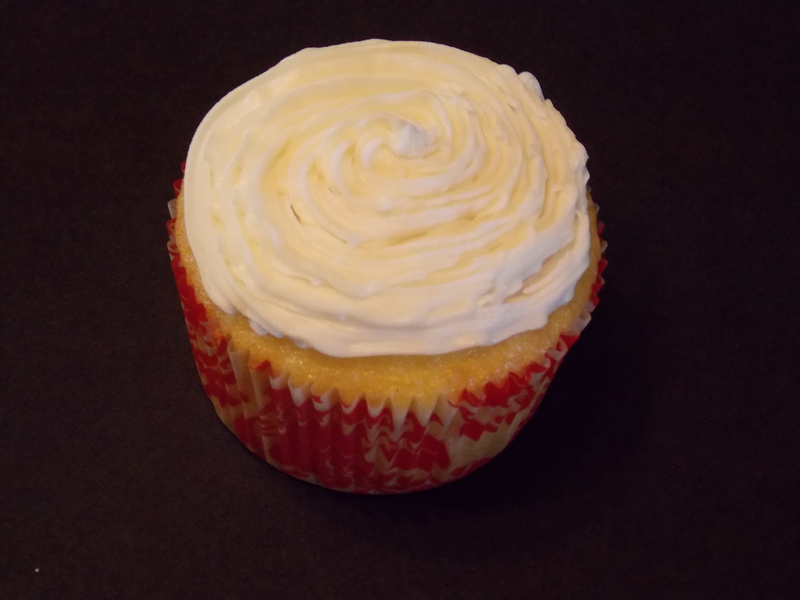 In celebration, I am sharing a recipe for buttercream icing that I use often this time of year. All of my kids and myself have spring birthdays, so I use this one for decorating cupcakes or birthday cakes. 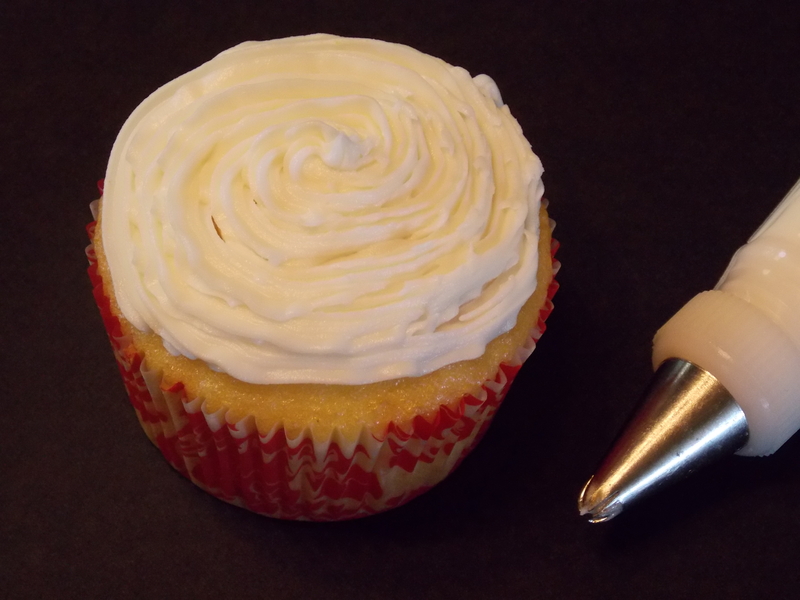 I found it in an old Wilton cake decorating booklet and it is always a hit! I would recommend actually decorating with it when it’s a little bit chilled. 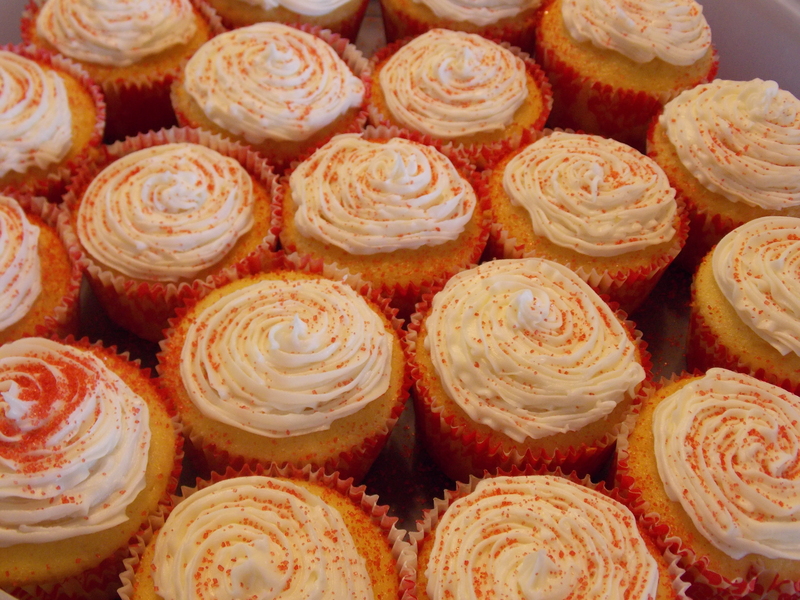 This is from a batch of cupcakes I just did for my daughter’s class (Her birthday is the day after mine). 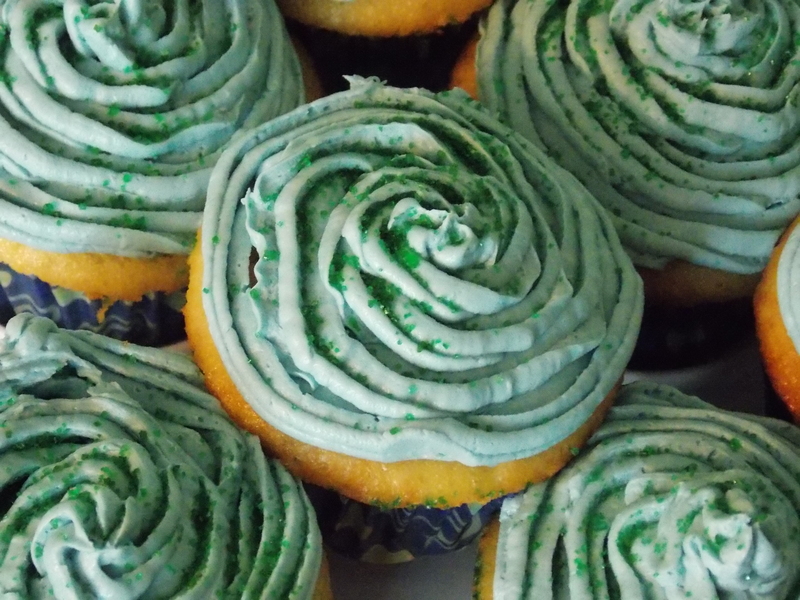 These blue frosted ones are from my son Andrew’s 10th birthday party, which was this past weekend. I may be getting a little birthday-ed out. The recipe is fairly simple. Not the healthiest, but extremely tasty! Cream butter and shortening together. Add in vanilla and salt. Follow with confectioner’s sugar, adding in 1 cup at a time. Finally, add milk and beat until fluffy. Add food coloring if desired. Store in refrigerator when not in use. Makes 3 cups of icing.